Is jamb direct entry form out? How much is the form sold and how can i register ? 2 How Much Is Jamb Direct Entry Form 2019/2020? 3 Sir Will 2019 DE Students Sit For Jamb (Why The Novel)? 4 Advantage Of Jamb Direct Entry 2019/2020 ? In this article We shall be discussing everything that has to do with jamb direct entry for 2019/2020. In this article you shall get to find out if actually the form is out, how much it’s sold and lots more. How Much Is Jamb Direct Entry Form 2019/2020? The current price of JAMB DIRECT form is 5,000 (five thousand naira only) nationwide. Recall that the joint admission and Matriculation board jamb in conjunction with the ministry of education and NUC has slash the price of UTM forms to just 3500 recently from the previous 5,000. We are hoping that this kind gesture will be extended to UTME candidates soon. Sir Will 2019 DE Students Sit For Jamb (Why The Novel)? The truth of the matter is that jamb has not directed any institution to conduct a post UTME screening exercise for direct entry candidates. But on the other hand jamb will never prevent any institution from conducting a screening exercise for DE candidates ; after all the aim of Post UTME is to select the best performing candidate from among thousands that applied for admission. 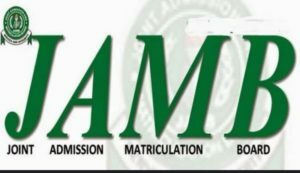 Advantage Of Jamb Direct Entry 2019/2020 ? Jamb Direct Entry has numerous advantage this is the reason thousands of polytechnic apply for it on yearly basis. Like for an example if an OND II student apply for an admission through DE he or she stands a chance of being admitted straight into 200 as opposed 100. Based on the hot debate on the scrapping of BSc and HND dichotomy, all direct entry candidates won’t face the big wahala. First you must posses a 5 credit pass in your O level results. This should be in any of WAEC, NECO, GCE or it equivalent. If you are applying with National Diploma or National Innovation Diploma, you must have a lower credit. That means your grade must be at least a lower credit. Note : jamb profile is a must not only for UTME candidates but also for DIRECT ENTRY candidates. Make sure you cross check all your details before submitting them, because jamb will not be held responsible for wrong details. At the end of your registration process make sure you print out your acknowledgement slip. Because you are going to present it to your school of choice. Note: you will be charge nothing less than 700 before your form will be processed for you. The date and procedure for the 2019/2020 jamb Direct Entry has been concluded. The 2019/2020 jamb Direct Entry Form is not yet out for now, as at the time of writing this article. In fact we expect it to be out any moment from now. Please keep visiting this page for more information as regards when the form will be out. You have to wait till around the time when institution conduct their screening exercise, we are sure most schools won’t conduct anything like screening exercise for DE. What they might do is just the minor verification. Your institution has to be recognized globally. The following are institutions who students are eligible to apply for Direct entry. If you are not a student from any of the above institutions then you won’t be accepted or you might be screen out during verification period. Pls bcos of easter and those that are doing the UTME we are delayed to be able to buy our own Direct Entry form,please extend the closing date of D E.thks. Pls there is delay when we visited the office to obtain Direct Entry form bcoz of easter&UTME examination which is going.we were unable to purchase the form. Kindly extend closing date. Pls let me buy my own at least 2weeks more.